Not Scared of Hurricanes, These People Abandon Logic and Stay Put. But Why? Hurricane season is here, and as usual, it has entered the party with a bang. 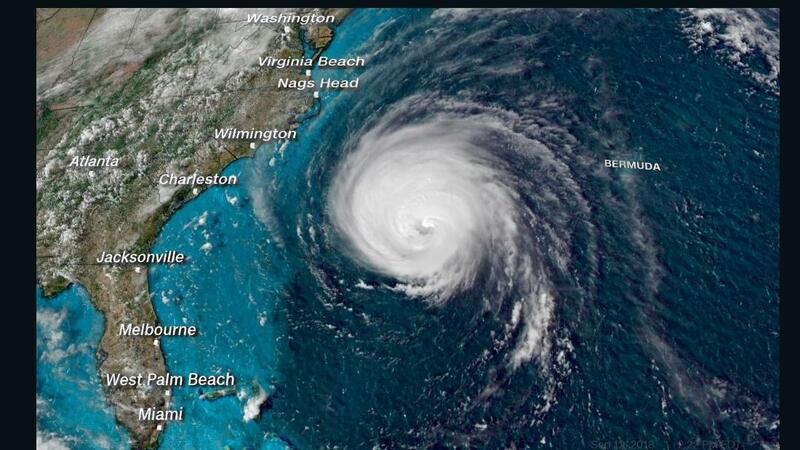 As it makes landfall in the Carolinas, Hurricane Florence has been downgraded to a Category 1, but with the crawling pace of the storm and the probability of storm surge, that doesn’t mean it’s any less dangerous. Already, hundreds of people have been rescued from damaged and flooded buildings as the storm batters the East Coast, and that number is only going to rise in the days ahead. In the aftermath of a big storm, it’s easy to see the people stranded in their flooded homes, or telling stories of hiding in bathtubs after the roof was violently ripped off of their house by wind, and think to yourself, “Why didn’t you just leave?” After all, weather forecasts had been predicting the situation as dire for days, and in some cases, evacuation was recommended or even mandated by their local government. But still, in every hurricane, there are those who stay behind, refusing or unable to leave their homes even as they watch the winds blow harder and the waters rise higher. 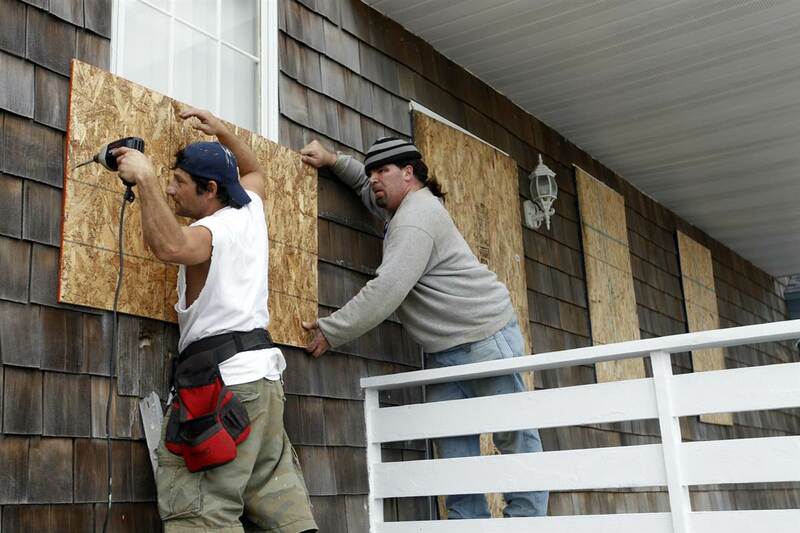 For many, staying home and ignoring evacuation orders during a hurricane is a choice. Many of these people are first responders – EMTs, firefighters, doctors, and other people trained in search and rescue who know that their skills will be needed once the storm subsides. Some prepare themselves with generators and extensive emergency kits, or gather food and alcohol and hunker down with friends, treating the hurricane like a big party. Many stay because they’ve weathered storms in their homes before, and have been perfectly fine. But humans, as a general rule, have very short memories, and this line of thinking presents serious danger. There’s a good chance your house will still be standing after a hurricane, and that’s what most people focus on when they choose to stay behind. But they forget that there’s also a chance that even after dozens of hurricanes, this could be the one their home cannot weather, and that’s the chance that puts their lives (and the lives of rescue teams) in danger. Studies have shown that the public looks down on those who need to be rescued after a hurricane, with many using words like ‘lazy’, ‘negligent’, and ‘stubborn’ to describe those who stay behind in the face of mandatory evacuations. But the truth is that not everyone has the option of leaving, and there are a few reasons why. The first and most common reason people are forced to stay behind is financial. Not everyone has the ability to take a few days off of work, even in the face of a massive hurricane. Some businesses remain open until the last possible second, and their employees don’t always have the option of packing their bags and leaving. 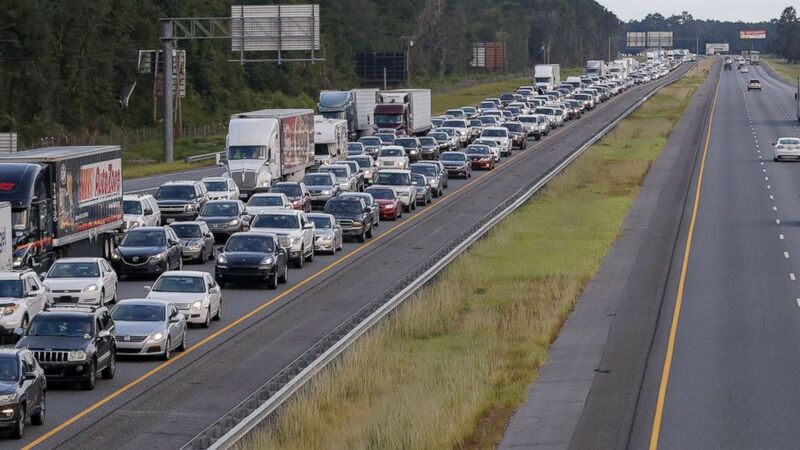 Evacuating during a hurricane by definition requires mobility, and that means plane or bus tickets, or at the very least a tank full of gas. Price gouging by airlines during a declared state of emergency is illegal, but that doesn’t mean plane tickets are cheap. Affordable flights sell out in a heartbeat, and sometimes it costs upwards of $1,000 for a single direct ticket out of the area, so especially for people with families and children, this isn’t even a possibility. Even for those with cars, massive traffic jams and quickly depleting gas supplies in the area make leaving less than easy. Even if people have successfully evacuated before a hurricane, many have no place to stay. Up to 75% of evacuees can or choose to stay with friends or family, but where does that leave people who don’t have that option? Unless you get extremely lucky or find a place early on, hotels and accommodations that still have vacancies before a storm are expensive and often out of the question. Studies have shown that socially vulnerable people – those without family or much of a social circle, those who work low wage service jobs, and many ethnic and racial minority groups, for example – are more likely to stay behind in a hurricane. Unfortunately, these conditions mean they are often vulnerable in many other regards as well. They often live in older homes in areas that are more prone to floods, and don’t have as much access to information and resources that could help them sufficiently prepare for a disaster. For most, hurricanes are a high-risk, low-probability event. Many underestimate them if they have just moved to a new area and haven’t experienced one before, or if they consider themselves prepared because of past experiences. But the fact is that hurricanes present a massive danger not just to buildings and property but also to many lives. If a mandatory evacuation notice has been issued and you have any way of leaving, you should, because if the hurricane hits and you end up stranded, not only is your life in danger, but also the lives of the first responders who come to help. That being said, it’s important to think twice before shaming those who don’t leave during a hurricane, because many don’t have a choice for the reasons listed above as well as many others. Some have disabilities, or don’t know what to do with their pets. Still others are terrified their homes might end up looted, or live at the border of the mandated evacuation zone and consider themselves safe. Whatever their reasons for staying, maybe it’s time to stop looking down on them and start helping. Access to resources is crucial before, during, and after a hurricane. If you live in a region affected by hurricanes, educate yourself about hurricane preparedness. Put together an emergency and disaster kit like this one, and if you know someone who is unable to leave during a hurricane, make sure they have one as well. If you do have the ability to evacuate, offer your available resources to those who can’t. If you live outside the affected area, consider ways you can help those who are unable to leave. Donate supplies, or if you’re able, you could even offer your home to someone in need of a place to stay, like these good Samaritans did last year during Hurricane Irma. Remember, natural disasters are unavoidable, and could happen to anyone. Your empathy could save a life.